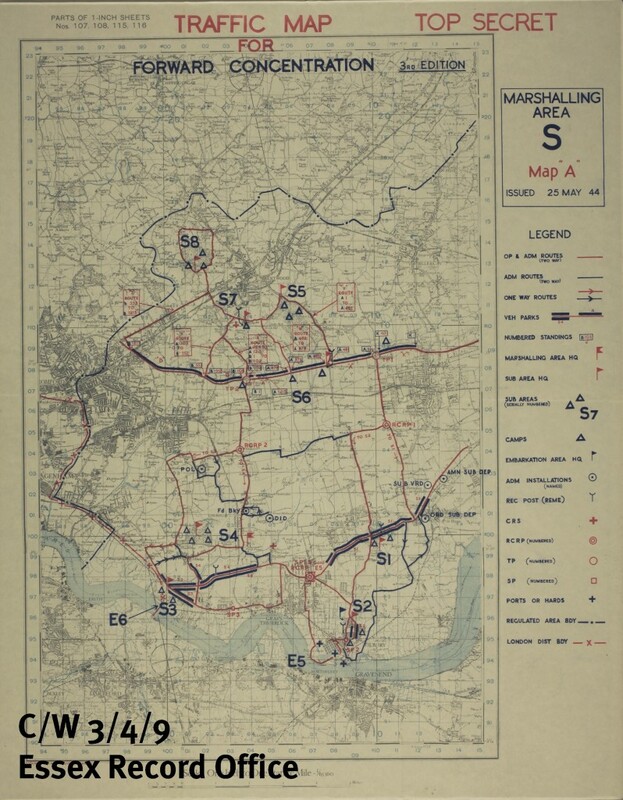 The ERO document of the month for June, 2014 (the 70th anniversery of D-Day) is a map showing the marshalling areas in Tilbury and Chadwell for troops and vehicals on there way to the Normandy beaches. 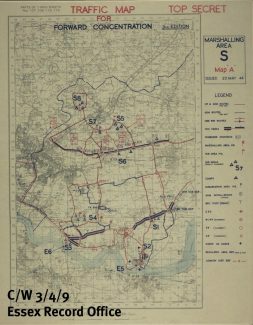 There is more about the map and its significance in the ERO blog. I would have been nearly five at the time, and lived in Stephenson Avenue. Seem to recall the Daisy Field being a marshalling area for all sorts of vehicles and armaments, much of it covered in protective material which looked and felt like plasticine. Many of the soldiers threw their “small change” to the children who lined St. Chads Road as the procession of vehicles, including tracked Bren gun carriers, moved towards the Docks. Such excitement for a youngster, with no idea of the horrors that lay ahead for these soldiers. I remember US Army trucks rumbling along St. Chads Road, heading for the Docks, it must have been around this time. For many of us Tilbury kids it was our first introduction to Messrs Wrigley and Hershey, as the troops tossed out their rations of gum and chocolate bars to us. The troops were presumably on their way to the Utah and Omaha beaches! !